Multimedia Games, headquartered in Austin, Texas, but with offices in Las Vegas, was licensed in Nevada just last year. The company expects to begin placing games in Strip casinos by next April, and could also start selling new slot machines in Atlantic City, Pennsylvania, and other markets. Multimedia Games is traded on the Nasdaq Global Select Market and ended the week at $15.40 a share. McGill said the company is worth at least $19 a share. Not bad for slot machine maker that was headed to the auction block 29 months ago. When company Chief Executive Officer Anthony Sanfilippo left in March 2010 for a similar position with regional casino operator Pinnacle Entertainment, Multimedia’s board brought in Deutsche Bank Securities to review and structure strategic alternatives, including a potential sale. Steve Greathouse, a Multimedia director since April 2009, took charge of a special committee exploring strategic alternatives. A longtime casino executive with Harrah’s Entertainment and Mandalay Resort Group, Greathouse is veteran of the Strip wars. He wasn’t ready to throw in the towel, especially in an economy that saw few mergers and acquisitions. The board took the company off the market. Greathouse became chairman and removed the interim title from CEO Patrick Ramsey, who joined Multimedia Games in 2008 as chief operating officer after six years in positions with Harrah’s Entertainment. “We compete side-by-side with the big companies in all the markets,” Greathouse said last September after the company earned its Nevada gaming license. One system, used by casinos to manage slot machine tournaments, is running more than 1,500 of the company’s games in major casinos at cost of $22,000 per machine. McGill thought Multimedia could grow the system to between 2,000 and 3,000 machines. Having headquarters in Austin hasn’t been a hindrance. While Multimedia Games doesn’t have the research and development budget of its largest competitors, it can employ engineers from outside the gaming industry to develop new machine concepts. Lately, the major slot machine manufacturers have been concentrating on other avenues. Last week, Bally Technologies said it had created a mobile gaming application for the Red Hawk Casino in Placerville, Calif.
IGT announced its social gaming DoubleDown Casino application would be placed on websites for the five casinos in Nevada and Colorado owned by Jacobs Entertainment. IGT is also adding its most popular slot machine titles to the DoubleDown website on Facebook. 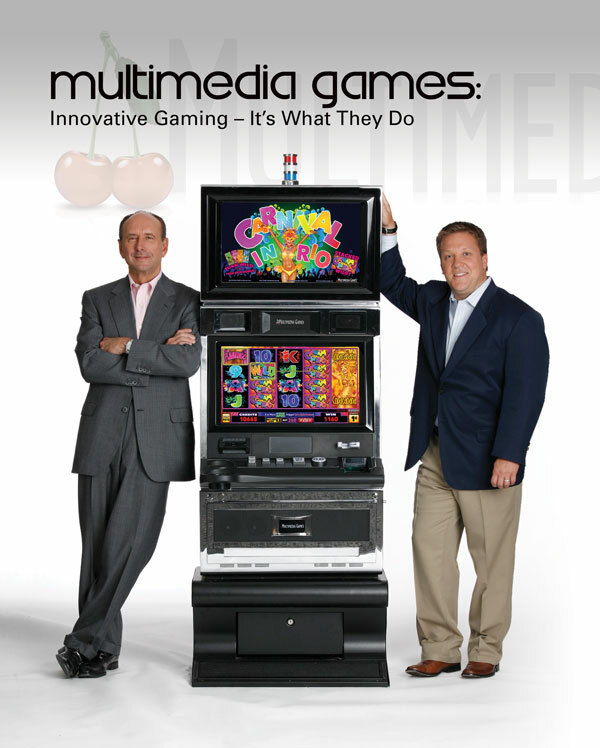 Multimedia Games continues to build only slot machines. In July, Multimedia Games said its third-quarter earnings grew by 25 cents per share while revenues increased 21.2 percent. “Our prospects for ongoing success remain encouraging,” Ramsey said in a statement. He added the company had been successful in converting trial slot machines into actual game sales. “We are continuing with our efforts to secure licenses for new jurisdictions,” Ramsey said. Wall Street has been waiting for a slot machine maker to crack the hold held on the industry by the “Big Three.” Others – Aristocrat Technologies and Konami Gaming – have been put up as worthy adversaries. Now it’s Multimedia’s turn.